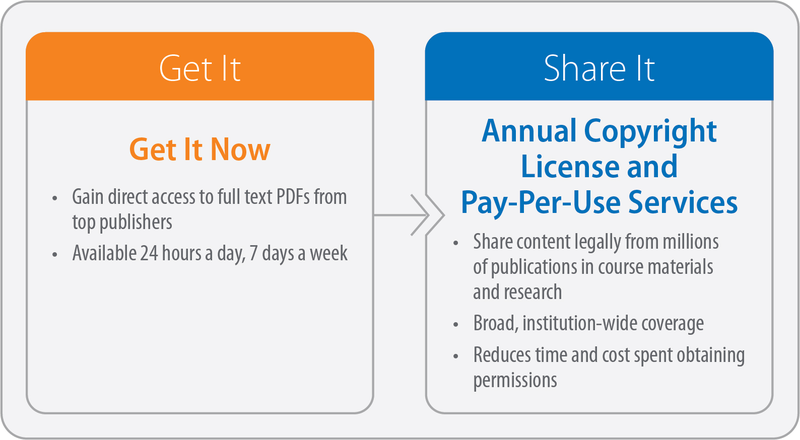 You want to make it easy for patrons and staff to access and share copyrighted content. You also need to manage and develop collections and find creative ways to allocate budget and resources. You’ve got a lot to contend with. To meet these challenges, CCC offers integrated licensing, content and analytics solutions designed to help you, your colleagues and patrons get the information they need, the rights to share it, and the insight to maximize the value of your content purchases. It’s easy to configure a solution that meets your institution’s individual content and licensing needs.